On Tuesday, the European Union’s antitrust regulator said it was nearing a settlement with Google over whether its Web-search engine disadvantages rivals. Many observers cast the announcement as a major victory for the Silicon Valley titan. But some important details have been overlooked. If a deal is approved by the EU, it will mark the first time that Google has agreed to demands by antitrust authorities that it make legally binding changes to the way it presents many types of search results. It could also hit the company’s revenue growth by crimping the lucrative category of search results tied to consumer products. The details are complex but boil down to this: Google has proposed allocating prominent real estate on its search-results pages to promote competing search sites, like travel site Kayak or shopping site Nextag. Such companies will be able to include links to their websites next to links for Google’s own special search sites. Those sites include Google Shopping for product searches, Google Flight Search and many others. Turning over such real estate to competitors will eat into the space that Google currently uses to display some of the highest-priced ads it sells on its search site, according to a person who has been involved in the EU’s discussions with Google. For example, today, people who search for terms like “digital camera” see results that prominently feature Google Shopping as well as advertisements from shopping sites like Amazon.com, which appear next to the regular search results for PC users. Under the proposed new EU-Google deal, in European countries, Google will dedicate a “larger space” of its search-results page to show links to rival price-comparison services like Nextag or Shopping.com if a person is searching for certain products. The space will include company logos and “dynamic text…to better inform the user of its content,” European Commission’s antitrust chief, Joaquin Almunia, said Tuesday. Details of what that will look like will be made public in the coming weeks, according to the person who has been involved in the EU-Google negotiations. This person says the changes would hurt the revenue growth of AdWords, Google’s primary money-making machine, though it’s difficult to say by how much. AdWords allows any website to bid electronically to display website links alongside regular search results. The revenue hit would be partially offset by a smaller, less-lucrative AdWords-type auction among Google’s search rivals for the new promotional space next to Google Shopping results, for instance. But the auctions won’t be open to a wide variety of advertisers. Because the EU-Google deal is intended to drive more Web traffic to rival search sites, it will lead to fewer people clicking on Google’s own specialized services. It also would be a hassle for Google’s engineering teams, which would have to create a new advertising-auction system for the rival search sites and overhaul the way results are display on its European search sites, from the U.K. to Greece. The deal attempts to placate Google’s rivals who have long complained that the search company promotes its own specialized search services like its flight and local-business search above other search results. Google’s concessions, which include an agreement to let an “independent monitoring trustee” oversee the changes, also set a precedent that antitrust authorities in other parts of the world could use in the future. Of course, for Google, a settlement is probably preferable to a protracted legal battle that would hurt its reputation and potentially result in major fines, the kind its longtime nemesis Microsoft has faced time and again in Europe. Google got tangled with EU antitrust authorities in late 2010. After outlining several “concerns” over Google’s practices, EU authorities have been close to settling the matter several times over the past year and aim to wrap things up by next spring. This summer, the EU told the company that its initial proposed concessions didn’t go far enough. Its biggest concern was Google’s heavy promotion of its specialized-search sites in search results. Google avoided such a dispute in the U.S., where it resolved a multi-year federal antitrust probe by making some non-binding, minor changes to some aspects of its search business in the beginning of 2013. It’s much too soon to tell whether the revenue impact will be “material” to shareholders, especially because the changes will only affect the European market and not the U.S. But they shouldn’t dismiss the pending EU-Google settlement as a mere slap on the wrist. The statement by Amazon came 48 hours after we reported that the company was considering introducing a smartphone for free to consumers, according to people with knowledge of its smartphone development efforts. The company previously declined to comment to us. The statement is the first time that Amazon has said it will not offer a phone this year, addressing long-running reports it has been working on one. The Amazon spokesman declined to elaborate on the statement, including about what types of discounts it could offer and what pricing arrangements it has considered in the past. Exclusive: Amazon Wants To Offer Its Smartphone for Free. Who Will Follow? UPDATED: This story has been updated to reflect a comment from Amazon, saying if it were to launch a phone in the future, it would not be free. Which technology giant will be the first to offer a free smartphone? Amazon.com Inc. is making a play. In a previously unreported move, the online retailer and Kindle maker is considering introducing its long-planned smartphone for free to consumers, according to people familiar with Amazon’s effort. One person familiar with the effort said the company has talked to wireless carriers about offering its phones, though it is expected to offer them directly to consumers through its website. A launch date also is unclear. The pricing strategy is a big departure from the strategies of incumbents like Apple Inc. and Samsung Electronics Co., whose new flagship phones retail at around $200 with wireless contracts in the U.S. Those companies also offer some older high-end models for free or for just $1, with contracts. The free strategy isn’t set in stone and depends on several factors, including Amazon’s ability to work out financial arrangements with hardware partners, said one of the people who is familiar with Amazon’s smartphone effort. This person and others expressed skepticism about Amazon’s ability to pull off a free device. Still, Amazon’s pricing ambition is the clearest indication of its phone playbook: undercut rivals and grab meaningful market share. It is also shows that Apple’s worst nightmare may be coming true: prices could fall not just for cheap phones in developing markets but higher-end ones too. Indeed, for years, Apple and Samsung have been packing their flagship phones with more bells and whistles in order to justify premium prices. And they have been pretty successful. In the past five years, the average price a consumer paid for smartphone that is not subsidized by a wireless carrier dropped just 20% to $343 from $430, according to IDC. But the game is changing. New smartphone entrants Amazon and Google generate revenue primarily through e-commerce sales and online advertising, respectively. As such, they are more willing than their competitors to sacrifice profit for market share. Even upstarts like Chinese handset maker Xiaomi, which sells its phones at razor-thin profit margins, says it plans to make money off software like apps and games. It’s a strategy suited for penetrating developing markets where the iPhone is still too expensive for many people. Such markets, including China and India, will account for about two-thirds of all smartphones shipped this year, up from 43.1% in 2010, according to IDC. While companies are responding by offering different devices at different prices, it is unclear how long the high end can hold up; today, even smartphones priced around $150 without a contract sport fancy features like powerful cameras and high-resolutions screens. But the market has changed and continues to do so. Here’s our take on the major players in the race to lower smartphone prices. Amazon has been working on a smartphone for at least two years, according to media reports dating back that far. Most recently, the Wall Street Journal wrote that the company was developing two smartphones, including a high-end one that could render three-dimensional images. One reason it has taken so long: the company struggled to find manufacturing partners that haven’t committed to only producing Android devices approved by Google. And in some ways, packing hundreds of electronic components into a small device like smartphone is more complex than making a tablet. Like its Kindle Fire tablet, an Amazon smartphone would be powered by a “forked” version of Android, which means that it uses the open-sourced version of Google’s mobile-operating system but doesn’t preload any Google apps. Numerous smartphone manufacturers based in China and elsewhere have signed agreements with Google to only manufacturer Google-approved Android devices, which often include preloaded Google apps. Offering a phone for free would be a daunting proposition. Amazon would have to find a way to make up for the cost of manufacturing — on average, $200 per smartphone — by steering device owners to shop for goods through Amazon.com and to purchase digital media and apps through its app store. It also sells digital ads and could show them to device owners, something it already does on the lowest-priced model of the Kindle Fire tablet. Amazon’s smartphone strategy would be similar but perhaps more extreme than the one it used when it entered the tablet market in 2011. However, it’s difficult to determine whether to call the Kindle Fire, which is priced as much as $200 less than some iPads, a success. Some research firms say the Kindle Fire represents double-digit percent of U.S. tablet sales but it doesn’t appear to have slowed down rivals. It has far fewer apps that Google’s Play store and Apple’s App Store. It’s also difficult to determine how much it has juiced Amazon’s sales of digital books and movies and other online goods. Don’t expect Apple to start offering free phones anytime soon. The company generates 51% of its revenue from iPhone sales. And the planned announcement of a new iPhone next week, including a gold-colored model, show how it is trying to maintain its premium image. But Apple, the second-biggest smartphone maker after Samsung, is hardly ignoring the trend. Next week, it is planning to announce a new, less expensive iPhone model in addition to a new high-end version. That’s a big change from its approach to less-expensive markets today, which has involved keeping older models on sale for a lower price. Google also is trying to cut smartphone prices and is considering a number of ways to do so. Google’s Motorola unit is building a cheaper version of its flagship Moto X device for emerging markets and the fast-growing “prepaid” market in the U.S. And Motorola CEO Dennis Woodside has repeatedly said he wants to push down smartphone prices. When it comes to Android, Google is trying to ensure that most features of the upcoming “KitKat” version of the mobile operating system will work well for lower-end phones, according to people familiar with the effort. That would be in contrast to recent Android software releases, which have tended to work better for high-end devices, developers say. Further out, Google has been looking at developing its own microprocessors and low-cost Android smartphones that could connect to next-generation wireless networks, which Google hopes to fund or build in emerging markets, people familiar with the matter have said. With its plans to acquire Nokia’s handset business, Microsoft’s mobile strategy is getting a reboot. But what Microsoft has done with its existing partnership with Nokia to date might provide some hints of the strategy ahead. Microsoft’s mobile operating system, Windows Phone, which has a tiny 4% market share globally by some estimates, is making some headway in the lower end of the smartphone market: Low-price “Lumia” smartphones made by Nokia and powered by Windows Phone software have gotten traction in the top five European markets including the U.K., where Windows-based phones surpassed 8% market share during the second quarter, according to Kantar Worldpanel. There also are some positive signs in emerging markets such as Mexico, where Windows Phone devices made up 11.6% of all sales during the same period, the firm said. It noted that the low-priced Lumia devices were particularly attractive to first-time smartphone buyers. After Microsoft closes the Nokia acquisition, it will put significant marketing resources behind Nokia to boost sales, similar to Samsung’s strategy to outspend rivals in promoting its line of Galaxy smartphones, according to a person with knowledge of Microsoft’s plans. The global leader in smartphone sales has never ignored the lower end of the market, hence its strong position. It has numerous Android smartphones that are priced below $150 without a contract, and its high-end Galaxy S3 — which launched last year and is one version behind its latest S4 — is available for free with a contract and other promotions through at least one U.S. wireless carrier. Expect the portfolio approach to continue. Samsung will try to keep a foot in the high-end market as long as it can, while also being very aggressive on the low end. China-based hardware makers have been undercutting Samsung and gaining some market share with phones that cost $130 or less. But some of these companies, including Huawei and ZTE, are trying to expand into higher-priced devices. One low-price phone contender to watch: Xiaomi. The Chinese manufacturer has exploded with a suite of phones that it sells essentially at cost. That translates to about $130 to $300, without a carrier subsidy. The company, which describes itself as a “mobile Internet company” on its website, says it plans to make money from software and services. Sound like Amazon? Spokespeople for the phone makers declined to comment, referred us to publicly-disclosed information, or never got back to us. Riding in a self-driving car will change how you think about the future of transportation. When I rode in one of Google’s Lexus self-driving cars last fall, I was riveted by the screen above the dashboard that displayed the cars and other major objects around us. We could view their every move in real time. In other words, the car had a lot of knowledge about its surroundings—way more than any human driver. But twice, the Google software engineer who was demonstrating the car for me had to take control of the wheel due to bugs that prompted it to shut off its autonomous-driving mode. He also said the self-driving mode didn’t yet work in bad weather like snow and fog. The technology clearly has a long way to go, and Google has said it would be ready within five years. Many questions remain about whether self-driving vehicles will be able to drive more safely than human drivers. In the U.S., about 10 million car accidents occur every year, according to federal government data. There is roughly one fatality for every 100 million miles driven in the U.S., or more than 33,000 deaths a year. Fatality rates generally are much higher in less-developed countries. Self-driving cars, of course, haven’t logged that many miles. Google’s fleet of retrofitted Toyota cars have traveled more than 500,000 miles without causing an accident, the company has said. One person familiar with Google’s self-driving project said getting the software to be perfect remains a big challenge. “99% isn’t good enough,” this person said, noting technology would have to be even safer than that in order to win over the public. There are other skeptics. Elon Musk, CEO of small luxury car maker Tesla Motors, earlier this year said he thought Google’s self-driving car system was too expensive. Daimler, General Motors and other car companies offer some self-driving features as add-on packages for luxury vehicles. Robert Bosch, the German electronics and auto-component supplier, has said it hopes to commercialize a “traffic jam assistant” system that can “brake, accelerate, and steer completely autonomously” in traffic. It could sell the system to major car brands. Google has been talking to automakers to try to license its self-driving technology into their new cars, and it has retrofitted Prius and Lexus cars to show how it can be done crudely. But Google also has bigger plans and has been studying how its vehicles could become part of robo-taxi systems in which a fleet of cars would operate autonomously in a particular area, picking up passengers and work commuters on demand, according to people familiar with the matter. 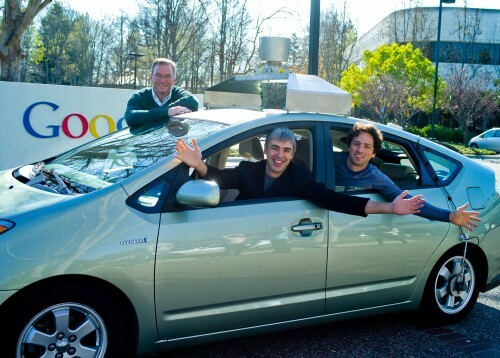 Google believes such robo taxis could reduce the need to own a car. Some existing car-sharing services, such as ZipCar and RelayRides, have said that each shared vehicle can eliminate the need for 10 privately owned vehicles. Some industry observers have been skeptical of such estimates. Google and other self-driving car proponents believe that “robo cars” will eventually be better drivers than humans, reducing fatality and accident rates. They also argue that such cars could be lighter weight with better gas mileage. Another theory goes that if most vehicles on the road drive autonomously, proponents believe there will be fewer traffic jams and cars could move faster. That would upend the economics of automobiles. More cars would be manufactured but they would get more usage and need to be replaced more frequently than privately owned cars. It could also upend the economics of insurance. If you don’t own a car, you may not need car insurance. In thinking about the robo-taxi model, Google has considered the idea that it would be responsible for insurance, according to a person familiar with the matter. Google also has a novel idea for what it could do with these cars. The company has considered ways to sell self-driving vehicles to individuals. But it also has focused on the potential for an autonomous car it designs to become part of “robo-taxi” services that pick up passengers on demand, these people said. Whether Google would try to operate such services on its own is unclear. The company didn’t respond to requests for comment. For its new effort, Google has been talking to major auto-components companies, such as Continental AG and Magna International, to manufacture a car under Google’s direction, said the people familiar with its plans. Just as supply-chain company Foxconn helps Apple and other hardware companies build phones and computers, these companies provide components to big automakers and help them assemble vehicles. On Thursday Germany newspaper Frankfurter Allgemeine Zeitung said Google was nearing a deal with Continental, one of the world’s largest auto-components suppliers, to create a self-driving car system. The report didn’t provide further detail about the system and the companies declined to comment on it, the newspaper said. Google’s search for a manufacturer shows how cars could become the latest piece of the hardware industry to be commoditized, much like computers and mobile devices have. The bodies of those devices are now made by a wide array of inexpensive providers, while the software and apps that run on them have risen in importance. While Google doesn’t have the facilities or know-how to actually manufacture its own fleet of cars, it already has some car hardware experience. For instance, it has worked on developing a spinning laser device known as a lidar that generates information about the car’s physical surroundings that can then be analyzed by Google’s software, one of the people familiar with the matter said. Whether Google will go ahead and partner with a contract manufacturer to build a car to its specifications remains unclear. The company is still seeking to partner with well-known automakers, one of the people familiar with the effort said. But the “do-it-yourself” effort is classic Google. In recent years, the company has designed its own phones and laptops, in large part to encourage existing hardware makers to follow its lead and adopt new aspects of its Android mobile operating system and Chrome software. Indeed, one of the people with direct knowledge of the effort says Google wants to pressure major car brands to embrace autonomous-navigation technology, whether they partner with Google or not. This person added that Google already feels it has spurred carmakers to embed more self-driving features. Of course, car companies have been conducting research on self-driving car technology for years, well before Google unveiled its effort in 2010. By designing its own car and commissioning a manufacturer to make it, Google is preparing to open a direct rivalry with established auto brands in Detroit and overseas that also use component makers to make their cars but have a different vision for how autonomous navigation technology should be used. People familiar with Google’s project say the company doesn’t believe most of the major auto brands actually want to build a fully autonomous car. For instance, the new 2014 Mercedes S-Class, which is expected to go on sale later this year, can slow or speed up depending on the movements of a car in front of you, and has steering assistance that keeps the car in the center of its lane. One idea Google has been studying is how its vehicles could become part of robo-taxi systems in which a fleet of self-driving cars would pick up passengers and work commuters on demand, according to people familiar with the matter. Google believes that such systems could potentially reduce the need for people to own cars and reduce accidents. Last year Google considered possible U.S. cities where it could help launch such a robo-taxi service, said one of the people familiar with its plans. Such an approach would be similar to Google’s Fiber project, in which it is beginning to install high-speed Internet and cable service to residents in the Kansas City area to pressure telecom industry incumbents to boost Web speeds. At first, the robo taxis would require humans sitting behind the wheel in case of emergencies, said the person familiar with Google’s conception of the project. But another knowledgeable person said that Google more recently has focused on “finding a solution that scales,” or making vehicles widely available to consumers. It’s unclear exactly how Google would do so without cooperating with a car company that had dealer relationships. The economics of direct sales to consumers or robo-taxi systems would be exceedingly complicated, said the people familiar with the self-driving car effort, and far afield from Google’s primary business of selling online ads. Google’s current, small fleet of self-driving cars – which are Toyotas retrofitted with cameras, sensors, radars, and Google’s special software – cost around $150,000 apiece, according one person familiar with the matter. Google has been working hard to lower the cost by designing some hardware components on its own, said another person. The financial risks explain why the project is located at Google X, the R&D lab near Google’s headquarters. Google X focuses on what CEO Larry Page calls “moonshots,” or high-risk projects that could have big payouts if they succeed. Inevitably, there will be political and regulatory hurdles too. 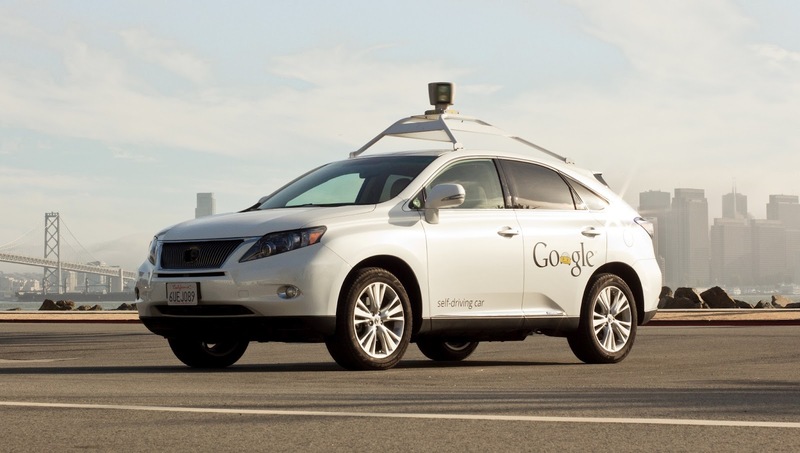 Google has been working to make sure self-driving cars will be formally legalized in the U.S. It previously spearheaded legislation in Nevada, California, Florida and Washington DC that allows for licensing and testing autonomous vehicles on public roads. Google’s Motorola Mobility unit is busy briefing analysts and reporters in New York about the Moto X, its high-end, flagship smartphone. The device is scheduled to launch in the U.S., Canada, Latin America, Europe and elsewhere starting this month. You should expect full reports on the device to surface online this afternoon. You also should expect to soon see advertisements for the Moto X all over TV and the websites you visit, per my earlier report about the hefty marketing budget of up to $500 million for the device. And because of the promised ad spending, all major wireless carriers in the U.S. are expected to sell it. But for Google, frankly, the stakes aren’t very high. The Internet behemoth’s Android mobile operating system powers the vast majority of new smartphones being shipped and shows no sign of slowing down, regardless of how Motorola performs. Android handsets are preloaded with Google’s revenue-generating software, including its Web-search engine. At Motorola, of course, executives are eager to make a dent in the smartphone market that has been dominated by Samsung and Apple while other hardware manufacturers fight for the scraps. Moto’s short-term goal: become No. 3 smartphone seller, a spot now occupied by LG, according to IDC. And Google does hope the cell phone pioneer can stem its operating losses. The unit, which Google snapped up for $12.5 billion last year, has been a drag on its earnings over the past year. 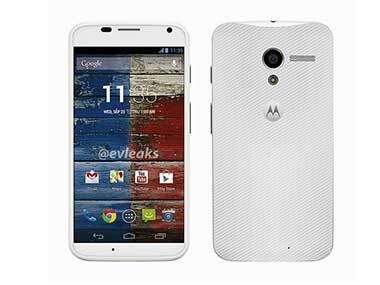 Motorola believes several key features of the Moto X will resonate with consumers. First: speed. The Moto X is “always ready for you” in that its microphone will always been “on,” letting the owner quickly operate it by giving voice commands. And with the shake of a wrist, the owner can bring up the camera app without fussing around. Despite the always-on sensors in the device, its battery is supposed to last a full day, according to a person who has used the device. Second: “It’s designed by you.” In what is possibly an industry first, Motorola is giving people the ability to personalize their smartphone hardware with back-panel colors, engravings (a la iPod) and other features, especially when they order the device online. And Motorola hopes to appeal to domestic consumers by promoting the fact that it’s assembling their devices in the U.S.A.
Third: The device will be “almost pure Google,” according to the person who has used it. In the U.S. market, the devices won’t have lots of preinstalled add-on apps made by wireless carriers, also known as “bloatware.” In other words, owners are supposed see a dozen or so preinstalled Google apps, such YouTube and Google+ — but not much else. With more than 900 million smartphones expected to be sold this year worldwide, there is opportunity for a strong No. 3 to rise up. That could be difficult for Motorola for a number of reasons, not the least of which is its focus on a relatively small number of markets for its new devices. So far there is little evidence that Google will eat the hardware costs and price the Moto X well below the competition. Earlier this summer, a person with knowledge of Motorola’s strategy told me that the price of the Moto X is expected to be roughly in line with the Apple iPhone and Samsung Galaxy S4. In the U.S., such devices can cost $600 without a wireless contract and about $200 with a contract. No matter what happens with the Moto X, Motorola – and thus Google – will learn a lot from this experience. And the acquisition of Motorola is looking smarter by the day as other Android-device manufacturers such as HTC struggle, leaving Samsung as the dominant player. A Motorola spokesman declined to comment.